Souvenir Photo Album. 22 pages of photos and the words to "Ragged Old Flag" and "Man In Black" on velum sheets. 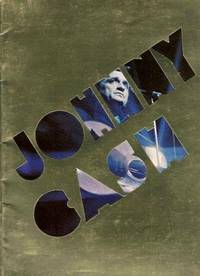 A bit of rubbing and edge wear to gold cover with cut out of title letters (Johnny Cash) revealing pciture of Johnny Cash.. Gold Stapled Soft Cover. Near Fine. Illus. by Photographs By Johnny Cash, June Carter Cash, Chance Martin, Alexander Agor, Marion Ward, Diane Rivkin, Nick Webster. 9" X 12". New York: HarperCollins Publishers, 1990. 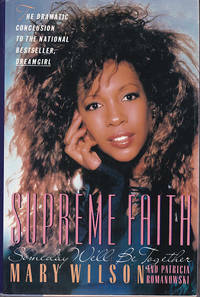 Sequel to "Dreamgirl : My Life as a Supreme." Remainder mark bottom edge. Dj price-clipped.. First Edition. Hard Cover. Near Fine/Near Fine. 8vo - over 7¾" - 9¾" tall. Remainder. Snowmass, Colorado: Windstar Project, 1980. 22 pages of wonderful photographs plus the front and back cover. Inside back cover is the statement: "The Windstar Project is an expression of my commitment to positive transformation on this planet: A facility within which we can clearly demonstrate the benefits of new and appropriate technologies and lifestyle alternatives; an opportunity for all human beings to experience harmony -- politically, socially, economically and environmentally. I am always with you, You are always with me, We are one, We are one, We are here"...John Denver, Windstar Foundation,. Soft Cover. Near Fine/No Jacket. Folio - over 12" - 15" tall.